Ever since it’s humble beginning the helicopter has inspired and intrigued many; young and old. It has however been an expensive and exclusive contraption in which only a very small percentage of even the aviation fraternity could afford to fly. With many moving parts requiring complex, compact engineering, the helicopter’s development was always going to be costly, let alone the unit production costs and maintenance. These were issues close to Frank Robinson’s heart when he had joined Cessna in the early 1950s as a young flight test engineer on Cessna’s Skyhook helicopter project. He was putting his nose in wherever he could to glean technological wizardry. Frank had a dream of building a light piston powered helicopter that would bring hovering within reach of the average American. and to this day its record stands undefeated as a piston powered helicopter. Cessna had done valiantly, but the Skyhook project became too expensive for a firm that had no proven track record in the rotor wing arena. Frank was taking notes and moved on to Kaman, then Bell and lastly Hughes Helicopters. With a string of successes in the engineering and design departments, he was well known for his exploits into anti-torque or tail rotor design. But as those around him worked their 9 to 5, he just couldn’t put his dream down. Eventually, Frank quit Hughes to start building his own low cost helicopter – the two-seat Robinson R22. Built in Frank’s garage, it was a humble beginning. The first flight was in 1975 in Frank’s hands. Surprisingly for many, it lifted off and all worked as expected. FAA certification followed in 1979 in the capable hands of Joseph John “Tym” Tymczyszyn, a veteran test pilot who, two decades earlier, had been part of the certification team of the Boeing 707. In 1990 the natural progression from the R22 followed: the R44, which is basically a larger R22 with two extra seats and a larger Lycoming O-540 engine. ‘Built light to fly right’, we always say. The design brief was exactly the same as for the R22; keep it efficient and cost effective. The materials and construction are largely conventional steel skinned and welded chromoly space frame with bonded aluminium honeycomb main rotor blades. Nothing new, just old school, slide rule computed fabrication. around 60% less costly than its competitors. To date Robinson has produced over 12,000 helicopters, making it the biggest producer of helicopters in history as well as the biggest single aircraft producer of the 21st century. Who would have thought? Actually, I think Frank did. Some will ask why all piston Robinsons are not turbo or super charged? At the heart of the design philosophy of the R22 and R44 is efficiency for performance, and the longevity of engine life for safety. The power plant chosen for the R44 Raven II was the trusted, naturally aspirated de-rated 300 hp Lycoming 540 unit popular in many fixed wing aircraft. This engine is able to produce around 400 hp in a turbocharged fixed wing application, but at the cost of fuel consumption and lifespan. Robinson de-rates the engine from its static 295 horse power to 205 hp for continuous use and a five minute 245 hp take off limit. This is accomplished by the pilot referencing a manifold pressure limit table accessible above his seat area. By limiting the engine according to the manifold pressure for a given density altitude, the engine output, or torque, can be restricted by the pilot’s collective control. The limitation being factored against density altitude increases the helicopter’s high altitude performance. If flown within these operational limits, it allows for some power margin in reserve, which is a big help for hot and high Highveld conditions. There really is no trickery to flying the Robinson R44. It is an honest simple ship. The walk around pre-flight is easily performed, from the pilot station on the right, clockwise around the aircraft. First stop is the rotor head inspection. The first thing you notice is that you need to use a combination of the rear seat and horizontal fire wall under the Aux fuel tank to climb your way up the tall rotor mast. A great design; the spinning blades are very far away from bystanders and passengers. priming is done by the auxiliary electric fuel pump. Good to know as Robinson added a second fuel pump to back up the engine’s mechanical diaphragm type fuel pump on the fuel injected Raven II. The electric fuel pump self-test happens automatically when the clutch switch is engaged on the ground. If the engine dies then you know that the mechanical fuel pump is likely at fault. Fuel mixture is returned to full lean and the engine cranked via the starter button on the end of the collective. Once the engine fires then mixture set to full rich. Run up is done at 70% engine RPM with a Mag check, followed by the RPM horn check at 97% and lastly throttle chop to check the sprag clutch operation. The performance tables above the pilot’s seat are then referenced to establish takeoff and continuous power settings in accordance with the all-important manifold pressure gauge. Engine oil and cylinder head temperature are noted in the green arc. Hatches closed and we’re ready for take-off. 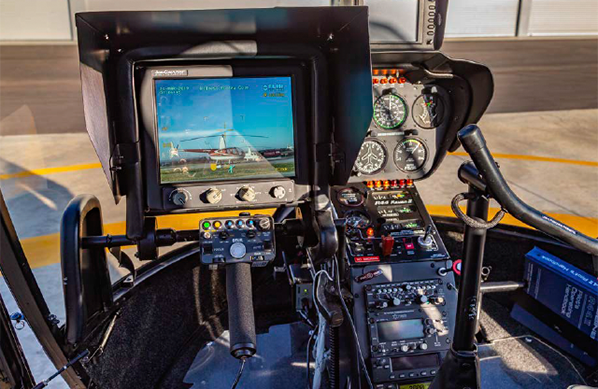 The R44 uses an electronic servo engine governor to maintain constant main rotor RPM, limiting the normal pilot work load by controlling the throttle twist grip during normal flight. The governor actuates after 80 % engine RPM and can be deactivated via a switch on the end of the collective lever. All ground manoeuvres are done in a five foot hover. Once transitioning into wind, rotation speed is 40 knots. Nose position is then adjusted for a 60 knot climb attitude, all typical helicopter numbers. Due to the great power to weight ratio, the R44 has an impressive 1000-fpm-plus climb in most conditions. The R44 behaves predictably in autorotative decent. Normal speed is 65-70 kts with the high inertia type rotors storing plenty of energy to absorb engine-off landings with relative ease. Descent speed is at 60 knots following the typical height velocity vertical corridor to ensure a safe outcome if the donkey dies. Performance wise, the R44 will skip along happily at over 100 kts with a 2.8 hour fuel endurance making it a popular choice for businessmen relying on the convenience of vertical lift. The useful payload of the R44 is compromised by a centre of gravity forward limit: typically two average adults (80 kg each) in the front seats and two smaller people in the rear seats. Fuel quantity can be limited to compensate for cabin loading weights, with baggage space limited to the four under-seat box areas. Bidvest Protea Coin acquired ZS-RGP virtually new from a private owner in the UK in 2010. It is a standard R44 Raven II which we equipped as a Telstar platform with a number of modifications to use it in the security environment. The aircraft is equipped with a FLIR Systems U8500 XRT forward-looking infrared sensor ball. This is a Nitrogen cooled type sensor that runs at -197 degrees Celsius, which actively presents the operator with an environment picture with contrasts of temperature variation. The system uses a 6-mode tracker on the isolated gyro stabilised ball, reducing the operator work load and thus enabling him to concentrate on other mission requirements. Imaging is monitored on an Aerocomputers NVG capable screen with multiple inputs for picture-in-picture style mapping. Targeting is taken care of with an invisible laser target designator on the ball that runs on the same plane as the imager, allowing the operator to light the target for night vision goggle operators covertly. A full communications suite, including a NAT TAC COM control head, allows the crew to communicate through VHF, UHF and GSM encrypted radios to keep all operators in the loop. Downlinking of the imager is done through a microwave downlink system providing imaging to vehicles and VR goggles equipped ground teams. This is complemented by a 3G low-latency feed to keep our Headquarters War Room up to date on field operations. The aircraft is limited to pilot and FLIR operator in the Restricted Category due to the modifications. The entire process of modification approval took five years, making this the only R44 with a side mounted FLIR Systems U8500 in the world. ZS-RGP is based, mission ready, at The Ultimate Heliport in Waterfall Midrand. Due to the system complexity only a handful of specially trained pilots operate the aircraft. A fuel bowser and motor home support the helicopter, allowing it to be dispatched within hours to any environment where it may be needed. Frank Robinson was right. He doggedly followed his dream while acquiring all the tools he needed along the way. There remains no easy way to success, but he pushed the hard yards to produce an oxymoron; a cheap helicopter, yet one that performs well. Thankfully he never compromised on safety. Robinson have a well-earned reputation of changing designs and training to meet the demands of regulators around the world, making Robinson Helicopters leaders for pilots and owners safety. If the mainstream light helicopter manufacturers had listened to Frank and empowered his ideas, they wouldn’t be batting against him now. I owe my career to the humble R44. Its qualities have allowed me to fly more hours at a lower cost and to come home safely after every sortie. Bidvest Protea Coin employ over 24,000 PSIRA accredited and trained security officers. This makes us the second largest employer in the South African security industry. Our security officers are deployed across all 9 provinces within various market sectors and perform a myriad of duties and responsibilities which include but are not limited to; Access control, searching, issuing of permits, receiving and despatching, weigh bridge management, video surveillance, reception duties, mail room duties, Health and safety, armed escorting, NKP and patrolling. All Security officers receive their training and Induction at our highly acclaimed and SASSETA accredited Training Academy, Gijima, situated north of Pretoria. Each customer has unique and specific requirements so our Security officer’s will receive further site specific training based on his/her required job description, including SOP’s and health and safety requirements. They are issued as a minimum with basic equipment such as hand cuffs, a baton and a communication device and are all appropriately uniformed with their PSIRA identification clearly displayed. Bidvest Protea Coin specialises in providing a complete solution for the protection of intermodal containers travelling by rail and road. Our internationally patented locking devices are unique and tamper proof, resulting in massive risk reduction. The locking devices, coupled with armed escorting, asset tracking and time tracking capability, linked to our 24/7 control centre, provides our customers with a safe, reliable and traceable end to end logistics solution. We are further able to assist with clamping and unclamping of containers from the port of entry to the final destination, the packing and unpacking of containers, and custom inspections, including verifying contents with customs as well as seal numbers. One of the most important elements separating good Security companies from great ones is by developing an intelligence driven security organisation. The gathering and appropriate dissemination of relevant information is extremely powerful and all businesses are reliant on this to proactively fight crime. Bidvest Protea Coin has the largest and most experienced Investigations division within the security sector, with over 70 highly trained Investigators,7 data capturers and analysts as well as our own dedicated Advocate. These highly trained practitioners ensure a high hit rate when it comes to the apprehension and the conviction of criminals. Being the largest contributor to an on line criminal data base, we have the ability to assess information, connect the dots and identify trends against the thousands of profiles and entries on our system. Bidvest Protea Coin provide K9 services to a number of customer specific requirements including general patrolling, human scent tracking, detection for narcotics, explosives, ammunition, rhino horn, abalone, and general cargo screening. Our K9 Unit is uncompromising when it comes to quality bred dogs and the comprehensive training of our handlers. World -wide statistics confirm the efficacy and cost efficiency of using security dogs to reduce and prevent crime. Their heightened sense of smell, hearing and sheer presence, are proven to deter would be criminals. Our K9 Unit is registered with the safety and security Sector education training authority (SASSETA) and operates within the prescribes of the Animals Protection Act. Our off site monitoring offering consists of three types of monitoring, namely continuous real time surveillance , event driven monitoring and proactive ‘dial in’ CCTV operation patrols. Our state of the Art SAIDSA approved Control centre based in centurion, is operated by highly trained Surveillance Controllers 24 hours of every day. They remotely monitor all our customers security and related systems which include, beams, alarms, electric fencing, sensors, CCTV cameras, and Access control systems which extend to remote exit/entry management and biometric and facial recognition verification. Once an alarm condition has been positively verified or a threat has been detected, our response procedures are activated to ensure quick and appropriate action is taken and that the correct people and parties are notified immediately depending on the circumstances. The Bidvest Protea Coin control centre makes use of a physical security information management platform (PSIM) which is able to receives alerts, alarms and information from numerous different systems thus converging multiple events, incidents and intelligence from different systems onto one platform. The system has embedded rules and leaves nothing to chance, so all controllers are automatically guided through the correct processes based on the nature of the incident/alert or task. The software platform has the built in intelligence (AI) to analyse and predict. It is also open and scalable making it easy to accommodate the pace and ever changing requirements demanded from the Technological revolution we find ourselves in. The key objective in managing a successful event is safety and security. Securing a large scale event requires tremendous expertise and years of experience. Precision planning including understanding the layout of the venue, access and egress points, emergency exits, nature of event, demographics of the crowd, expected crowd numbers, parking areas, ticketing etc are some of the critical factors to consider. It is also very important to collaborate successfully with emergency services such as medical services, fire departments and the local SAPS or metro police. Bidvest Protea Coin have been securing Events for decades. These range from large sporting events to big concerts, but also include Events such as Fashion shows and Launches. All Event security guards or MIB’s are closely managed and supported by a dedicated on site management team. They remain in constant communication via two way radios and are equipped with batons and pepper spray where required. In certain instances, our K9 unit as well as our fully equipped Mobile control room will be deployed. Our services extend to providing VIP PROTECTION (close protection) for high profile guests, sports teams or celebrities. The south African market place is characterised by high levels of crime, labour unrest and protest action. Bidvest Protea Coin Have an established division to deal with specialised security operations required in the most volatile and high risk areas of our country. We provide support and offer solutions in the most complex situations and environments such as illegal mining, underground operations, industrial action and rioting. This is executed by the use of specialised intelligence networking and forensic investigations and the deployment of armoured people carriers and crew. All services are executed in a safe, ethical and compliant manner with full observation and understanding of the Voluntary principles of human rights and the basic code of conduct. State of the art equipment is used including night vision camera’s, non -lethal weapons, water cannons, tracing and tracking technology and video equipped and recording devices fitted within our tactical vehicles/armoured vehicles. All personnel receive the highest level of training and are well geared to act effectively and responsibly in dangerous and volatile situations. Bidvest Protea Coin have a track record of experience in the field of Secure mobility and VIP protection. Our Close protection officers are specially recruited with the appropriate training qualifications, necessary skills and the experience to handle this niche requirement in the South African market place. Their skills include; tactical advanced driving techniques, use of necessary force, first aid, protocol and etiquette, and the ability to assess risk and threats. Bidvest Protea Coin have its own helicopter together with two dedicated pilots. We have immediate access to a further eight additional helicopters and free- lance pilots should the need arise. Our Airwing service is utilised for emergency evacuation, surveillance, air-to-ground operations and transportation of persons and assets. It fitted with a “flir” (forward looking infra-red) thermal imaging camera approved by the Aviation Authorities. The camera is the first of its kind to be used in Africa featuring auto-tracking and laser pointing, significantly enhancing our ability to provide special operations during the day time and at night. Our Night Owl drone adds a further dimension to specialized tactical support and surveillance. With a “flir” platform for night vision and hi-end day camera, the drone’s ability is customized to the exact mission specification and is used strictly in terms of all the laws associated with flying a drone. The Technical Security division of Bidvest Protea Coin delivers solutions grounded in delivering true business value to our customers. The Technical Security division of Bidvest Protea Coin provides solutions grounded in delivering true business value to our customers. This is achieved through the application of a solution design philosophy which transcends technology and delivers the fundamental imperative of risk mitigation, providing our customers with tangible management information. Advanced surveillance systems which cater not only for security needs, but include compliance, risk and health and safety monitoring. These solutions are installed at identified critical areas and gather footage for live viewing and monitoring through advanced video analytics. Integrated alarm systems further protect the business after and during operating hours. All of these elements are monitored 24/7/365 by our state of the art National Operations Centre. The information generated by the integrated solution is seamlessly digitised and processed by our AI platform which processes the data and provides predictive, prescriptive and preventative maintenance, information and total system health checks and status. By monitoring the environment, we learn and adapt from the system information provided, which enables us to manage and control the outcomes through the intelligence gathered. The objective also includes recommendations to reduce identified vulnerabilities, improve security effectiveness and efficiency enabling management to make a valued judgment regarding the current risk impacts to your business. Thereafter a decision can be made on what measures to implement to eliminate, reduce or mitigate each risk and reduce incidents / losses. Risk analysis requires careful consideration of both likelihood and consequence. Impacts derived from the assessment are used to determine the overall risk consequence. Threat – It includes determining the likelihood of that Threat occurring. Who or what will potentially cause harm (informed by the threat assessment). Asset – What site, area, person, entity, process, or other assets will be affected (informed by the assessment). Vulnerability – exploitable security weakness or deficiency when measured against prescribed or generally accepted security standards to protect from Threats. Our tactical unit is a specialised division within Bidvest Protea Coin, which deals with customers who require armed proactive and reactive security in the most challenging urban and rural areas. Services include armed reaction, armed escorting, scouting and reinforcement. These services are executed in areas such as telecommunication towers, logistics and transportation of high value and vulnerable goods, precincts, mines and special events. oft skin and hard skin vehicles are used, equipped with dash cam, tracking devices, and emergency and tactical equipment. These units may be supported by our air wing operations, drones, motor cycles and mobile control rooms. We have 370 specially trained tactical officers who are either deployed on adhoc/emergency contracts or on long terms contracts at any given time. As part of our security philosophy of ‘protection from the outside in”, Bidvest Protea Coin’s specialised fencing division offers a range of customised Fencing solutions for all properties and sectors. Our national footprint ensures that we are able to offer our services in both urban and rural areas which include remote Mines and Game farms/lodges. Palisade fencing, concrete fencing, Game fencing and Electric fencing. All fencing can be further enhanced with security systems such as beams, video monitoring and alarms for additional protection and early warning. 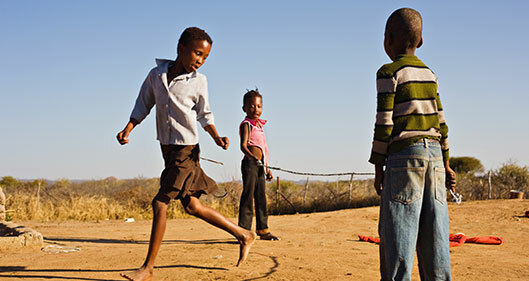 The Youth Zone Legacy Network has been established in partnership with the 2010 World Cup LOC to ensure a sustainable impact after the 2010 World Cup in the lives of South African youths. The aim is to build friendships and share ideas that could help us better the lives of the youth. Bidvest Protea Coin share in the recognition that a safe and equitable society is one where young people feel valued and where they have hope because of real opportunities and choices available to them. By supporting the Youth Zone Legacy we connect young people on the field, provide them with life skills and opportunities to develop their computer and social media skills.